[Entertainment] Chienna Filomeno is happy to endorse Vivo - Hello! Welcome to my blog! 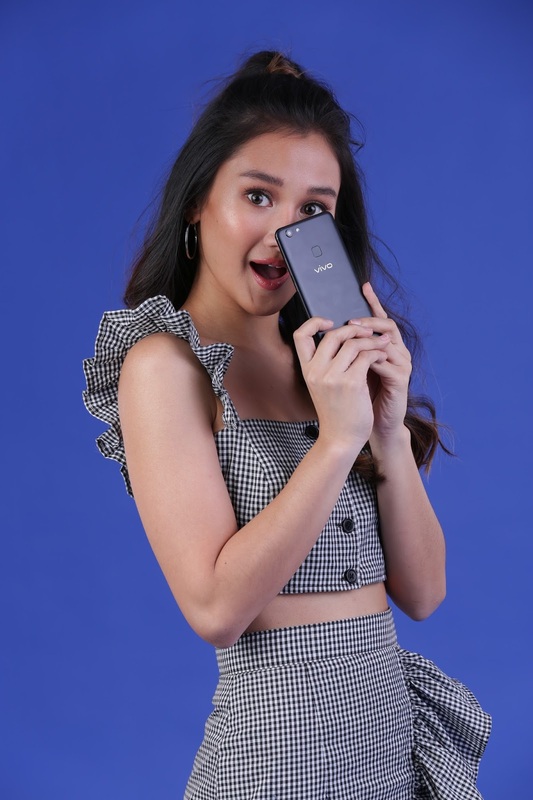 Overwhelmed at trust given to her by giant smartphone manufacturer, Vivo, Chienna Filomeno, the twenty-one-year-old is the real deal whnn it comes to social media popularity. Her Instagram followers that has racked up to more than a million, Chienna’s semi-charmed life is an open book. Juggling showbusiness, travels, and learning how to be a DJ, just like Ashley Rivera. A Vivo influencer. Chienna is part of the young and hip celebrities signed by the globally popular phone brand last September to be part of the Vivo Family. “[I am happy] that [Vivo] trusted me,” she gushes in a brief interview conducted during a photo shoot organized by Vivo. Chienna, along with the other Vivo brand influencers, are all thrilled over Vivo’s latest pride, the V7+. One thing that stood out for Chienna is how she could take a clear, all-natural selfie with an array of filters to choose from right off the bat. Bokeh effect is one feature that she lifes, an aesthetic quality of out of focus blur in photos which adds drama and flair to any selfie. “My selfies are so clear and natural!” Chienna says referring to the V7+ 24 MP clearer selfie, front facing camera—one of the world’s first— with LED flash and smart photography algorithms provides for a clear-cut, crisp, and natural-looking photo. To further perfect a selfie, the V7+’s Special Face Beauty 7.0 feature brightens up photos and evens-out complexions so capturing a selfie-moment is not a problem in dimly-lit environment. Sound is also something that Chienna appreciates with the V7+. Superb sound brought by the V7+ high fidelity sound feature which supports the latest sound technology and levels up mobile audio technology, enabling any music lover to enjoy rich and full rhythms.